Many believe that Zangief has entered the tournament out of his fierce respect for his country, but they are only partially correct. Zangief loves his country, but he loves to stomp on his opponents even more. What else do you expect from a man who wrestles bears for fun? Good natured, with a great sense of humor, Zangief loves to fight. He left the Russian Wrestling Federation because of the lack of competition and now seeks suitable opponents wherever he can find them. 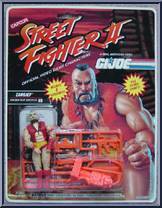 Totally fearless, Zangief is more than willing to walk into a punch as long as he can grab his opponents and drive them into pavement with his Spinning Pile Driver. Contribute pictures, update details or suggest corrections for Zangief. 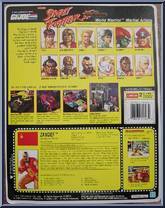 Write a review about Zangief.